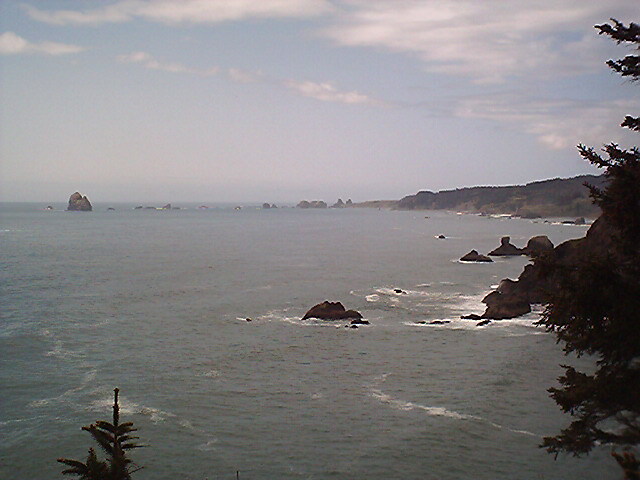 I try annually to visit family in Northern California and when I am able to do that, the return trip is up the coast from Arcata, CA back to Scottsburg and Umpqua River Haven (www.umpquahaven.com). 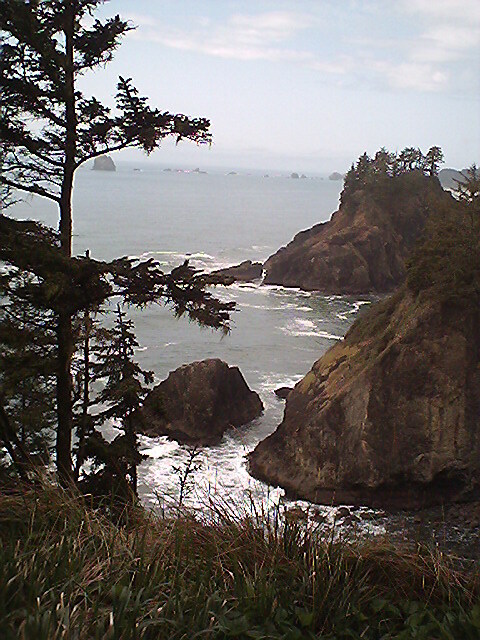 The Southern Oregon Coast holds many scenic turnouts that are all part of the Samuel H. Boardman State Scenic Corridor. This 12 mile, scenic corridor was named after the first Oregon Parks Supervisor, Samuel H. Boardman. 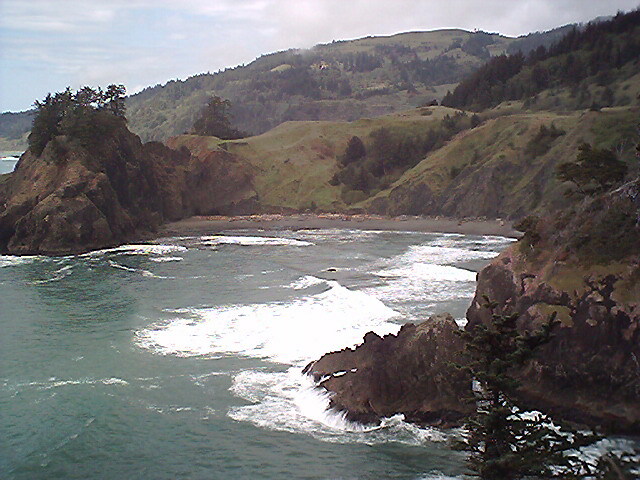 He and his contemporaries had the good sense to see the need to preserve this unique and beautiful stretch of the Oregon Coast. There are also 27 miles of Oregon Coast Trail that meanders through the park including beach, dunes and 300-year-old Sitka spruce trees. I’m never in a hurry and allow myself plenty of time. I often set out just to drive and not stop but I know I will. There are just too many beautiful turnouts along this route. 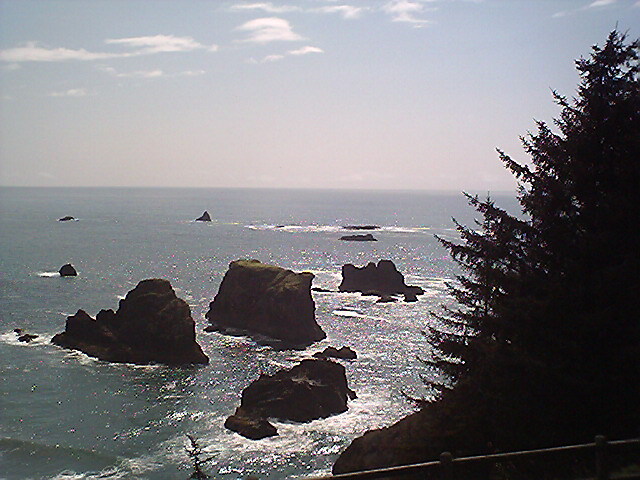 The scenic sites start a short ways north of Brookings, Oregon. There are 14 scenic places to visit. Some you can see from the turnouts and some are a short hike to the view point. 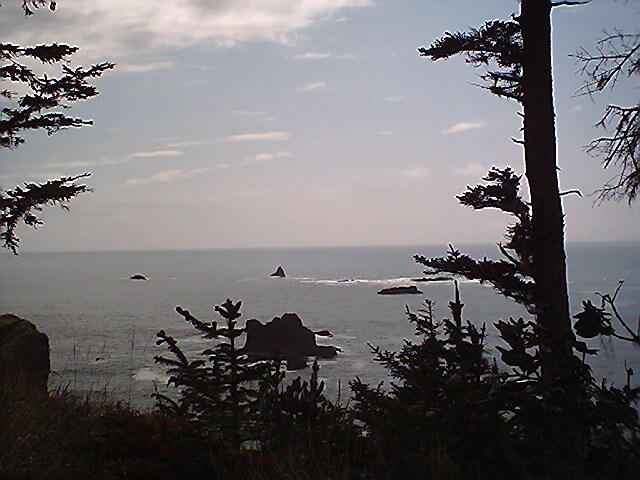 They include places like Whaleshead Beach where you can watch for water spouts from Whaleshead Rock off shore. Oregon’s tallest bridge is also along this route, the Thomas Creek Bridge, which is 345 feet up in the air. 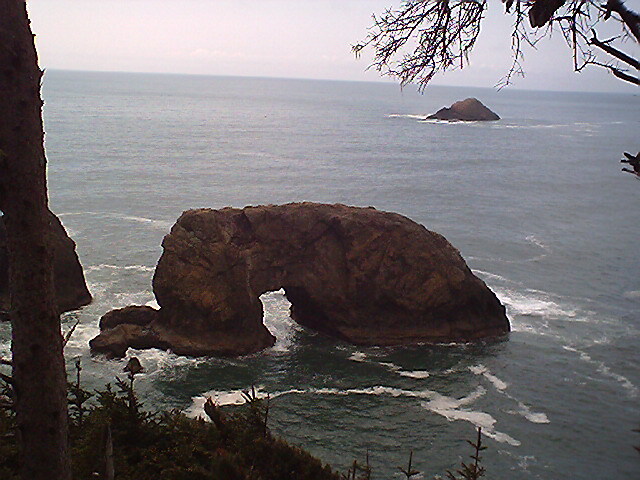 The bridge is part of the scenic Highway 101. Another turn off is Arch Rock which is a favorite stop. It is the northern most scenic turnout. You can get out and walk around without really hiking. There are three sides to this park area with awesome ocean sights on all three sides. I will leave you here to explore some of my favorite shots along this scenic route. Do come stay with us and travel it for yourself. Beautiful! Wish I were traveling there.